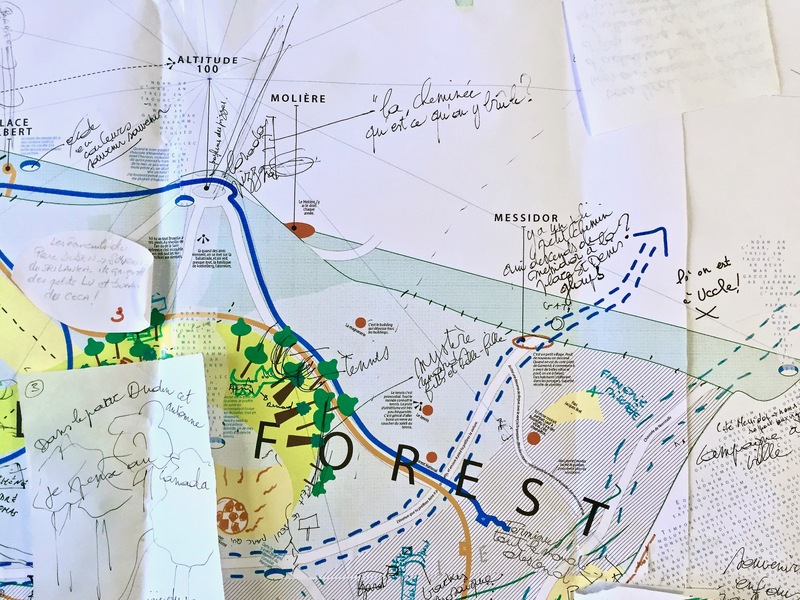 The map realised by inhabitants of Forest during workshops at BRASS last October will be launched on 15 December. Since 2014, inhabitants of seven municipalities in Brussels have realised maps of their territories. What is a subjective map? It is a map of a location created by a group of inhabitants with help from artist Catherine Jourdan. This cartography is not based on real data, but on the subjectivity of the inhabitants : their impressions, their memories, their ideas, their beliefs. Discover the maps during a festive launch on 15 December at 18:00 at Abbaye de Forest! 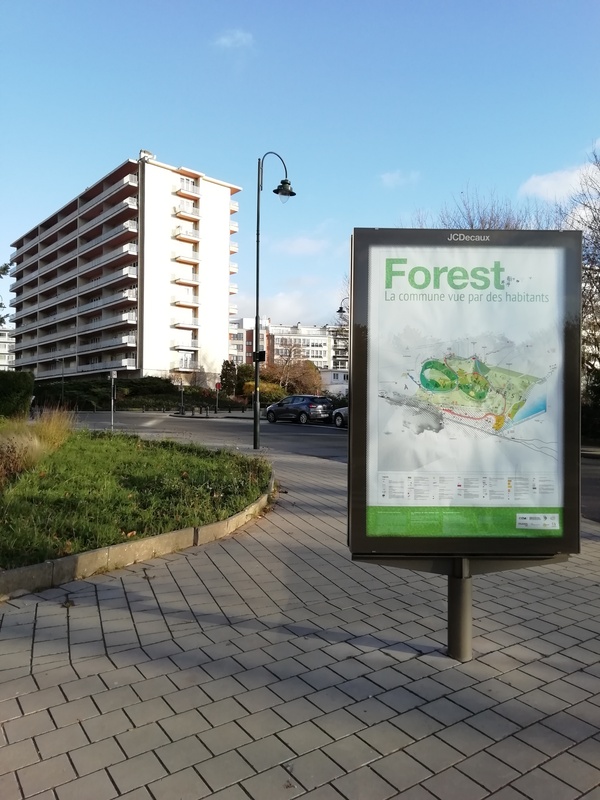 After the launch, the map of Forest will be visible in the JC Decaux billboards in the streets of Forest, and this until 21 January. A project led by CIFAS, in collaboration with BRASS – Centre Culturel de Forest, the municipality of Forest, theComité Culture of the CPAS of Forest and Dynamo asbl. With support from the Service public francophone bruxellois, the Fédération Wallonie-Bruxelles and Actiris. 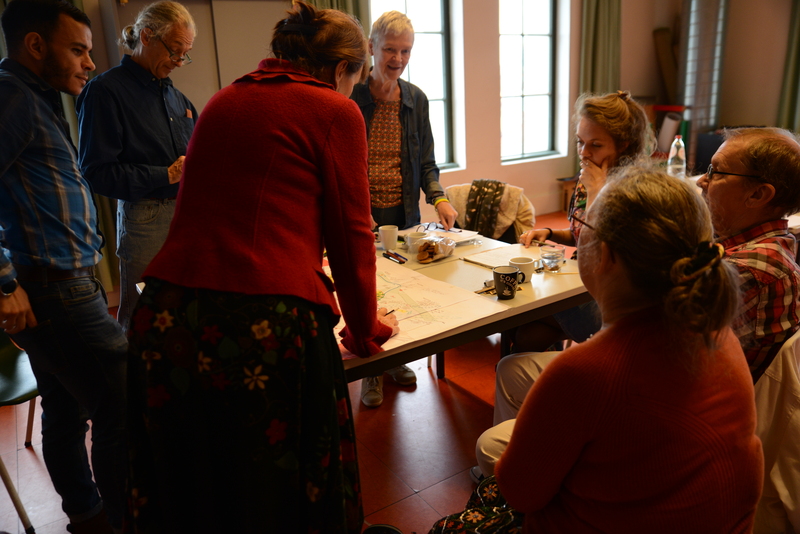 A subjective map is a map created by a group of inhabitants, through workshops led by Catherine Jourdan, psychologist and documentary artist, and her team. It represents a group's vision of its own territory, of the city at a given time. The map is not based on actual data but rather on the impressions of inhabitants: personal memories, intimate stories about places, shared impressions and other beliefs can be found on it. After a time for thought and exchange, the map is then printed, sold in local shops and made public in the city communication spaces. Since 2014, inhabitants of seven different Brussels districts have created maps of their own territories. Unfold them and discover their stories! Catherine Jourdan is psychologist and documentary artist and leads since a few years a common project : cartographic documentary. Its name : Subjective Geography. 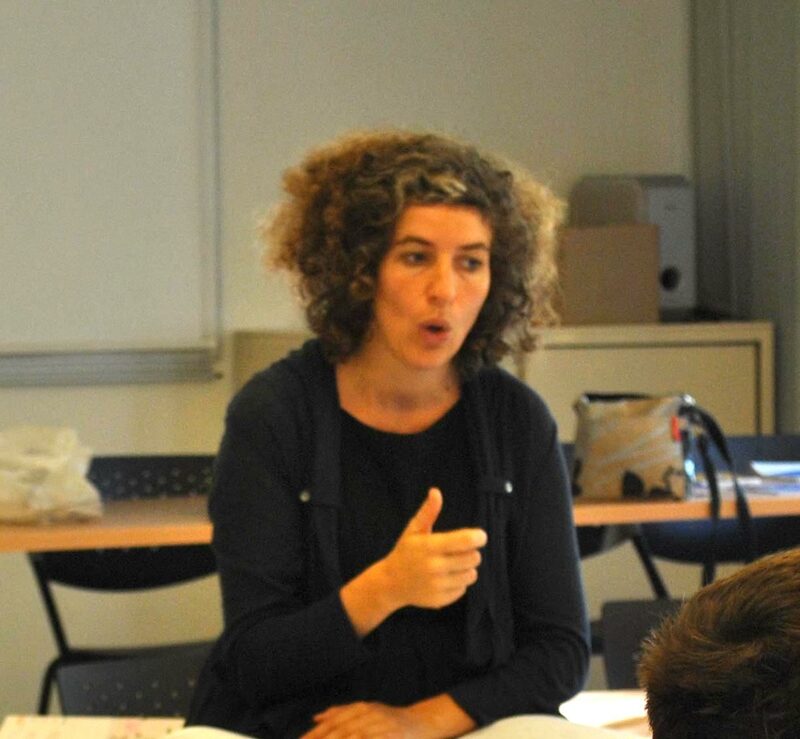 After a MA in philosophy at Paris X Nanterre University in 2002 and a short teaching period, Catherine Jourdan has focused on artistic practices. Sculpture, installation, videeo, performance... In order to invent trajectories. The last "artistic"-said project that she leads is Géographie Subjective, since 2009. Since 2011, she owns a MA in analytical clinic psychopathology and works as a clinical psygologist. She divides her time between psychological counseling and documentary practices. Maps on sale in several places! From this week on, the maps will be on sale in several places in Forest and around, at the price of 3€. Where to find the map?